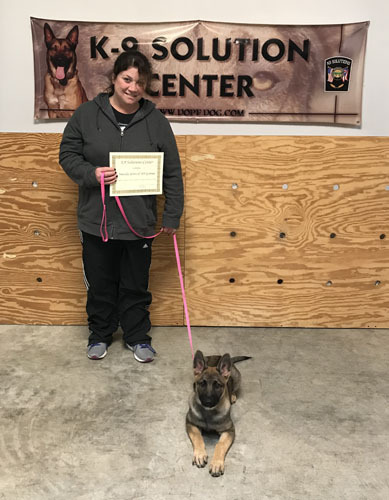 Dayton's Premiere Dog Training Center - Welcome to K9 Solutions Center! Your PREMIERE Dog Training solutions in the Miami Valley! 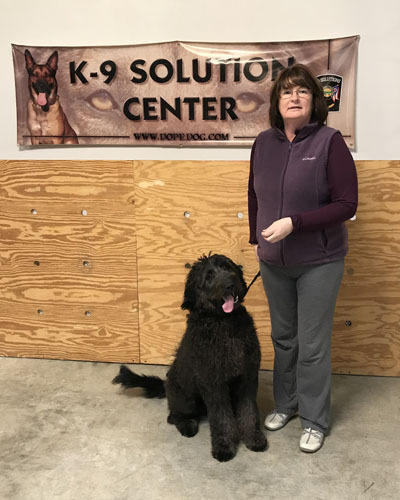 K9 Solutions Center is located in New Carlisle, Ohio and has been providing elite dog training services since 2001. We have a history of training Police Dogs for numerous state, city and county departments, as well as Search & Rescue dog and numerous other working dog clients. We have produced top personal protections dogs and assisted in therapy dog certification preparation. 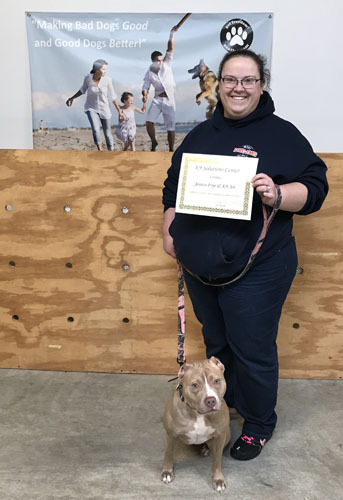 All of this has created a knowledge base that will provide you the “one stop” resource for your dog training needs in the Dayton, Ohio area. 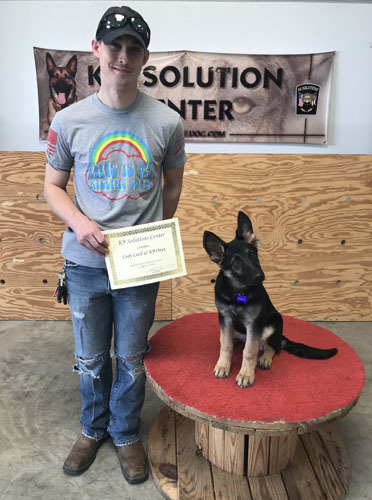 K9 Solutions Center is a certified training center of the American Working Dog Council, as well as an American Kennel Club Canine Good Citizen evaluation facility. Our Staff of professional trainers will help you reach your training goals. 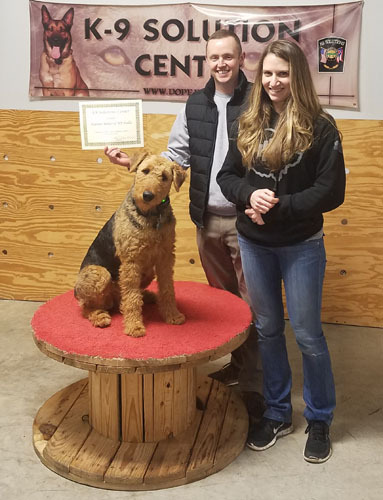 Our trainers will help you make your pet the type of dog that you are proud to take out in public, and have in your house with guests. Our Advanced Training will challenge your dog to work through heavy distractions, conflict, and in many environments. This training will take you and your dog to the next level of training. This level of training is far above what any other training center considers "advanced". Our behavior modification courses are custom designed to meet your needs. We address the issues that brought you to us. Our trainers will outline a training plan that will produce results. This is our most popular course. For this course we offer a free consultation to show you just how well this tool works. We use positive stim collars, and teach a balanced training technique that produces amazing results. Schedule a time to stop in and see why it is so popular. Some of our more recent K9 training success stories. Click on a thumbnail for more information. We have a state of the art dog training center. Do not be fooled by canine trainers that want to come to you, this is because they do not have a place to train. Your home is not a good learning environment for your dog. An important part of dog training is controlling the environment. Let us help you with your dog, we can produce results with your training goals! When you consider hiring a trainer for your dog, you need to look closely at the background of the trainer. There is no national organization that regulates who can call themselves a trainer, so the market is flooded with self-taught people who have no formal training education, or experience. 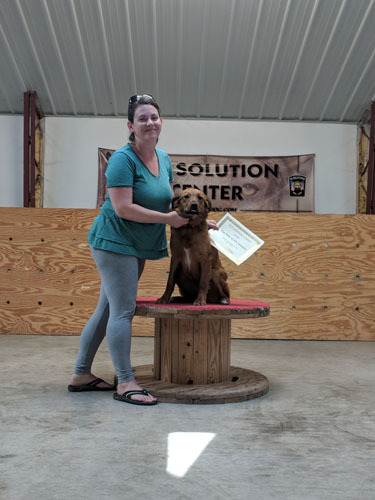 K9 Solutions Center offers dog trainer courses and certifications as well, we are the ones training the top trainers in the country, we have training down to a science. Meet with us before you make a decision on a trainer, and let us help you educate yourself before you trust your pet with just anyone. We often run specials, sometimes on grooming, sometimes on training. Like and follow our Facebook page and we will post the special offers there. 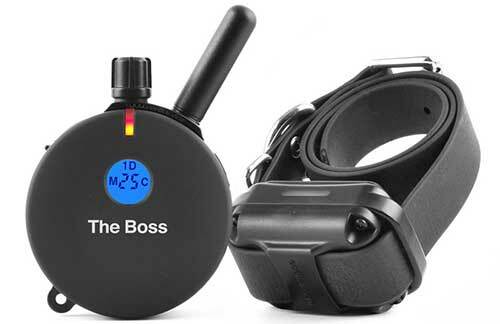 K9 Solutions Center is a PREMIERE E-Collar remote training collar Dealer/Trainer! the trainers at K9 Solutions Center are ready to assist you in your training needs. 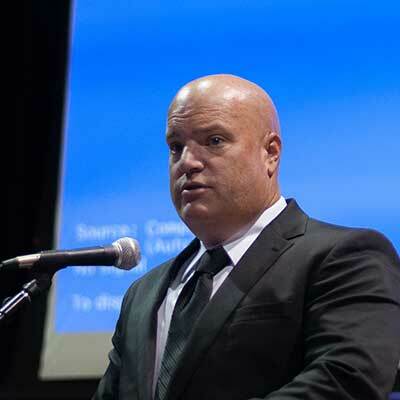 Jeff Turner serves as President of K9 Solutions Center. Jeff started K9 Solutions Center in early 2001. Jeff has spent more than 20 years training civilian and Police K9's in a variety of skills. When not training dogs and trainers Jeff is an active duty Police Officer in Ohio. Very happy with the atmosphere and the training that my dogs are receiving from K9 solutions. Our trainer, Megan is great with the dogs and very enjoyable to work with. She is knowledgeable, reliable and professional. My dogs are a little more than 1/2 way through their training and they enjoy going back each week. What a fantastic experience my 2 year old German Shepherd Bailey and I had here. They truly care about the success of these dogs and owners. I'm so glad I decided on K-9 Solutions! Tanner our trainer was the absolute BEST and I highly recommend them to anyone looking for training. I'm considering doing nose work or protection training in the future and will most definitely do it at K-9 Solutions! We just went through training with our 8 month old lab, Jax. When we rescued him, we found out he had some hip issues which needed surgery & decided to get training done before surgery. Now following his procedure, the techniques and knowledge we gained from K9 Solutions has been invaluable to keeping him safe during recovery. We appreciate everybody at K9 Solutions & how much attention and love he gets there, and can’t wait to come back for group classes!! I took my German Shepherd here and did the basic e-collar training. My sister and I had the pleasure of working with Tanner, and my dog did an amazing job. She has a much better handle on coming, sitting, staying, and the rudimentary skills of heel. I would bring any dog I get in the future here. Wonderful people and a great overall experience.